Two absolute masterpieces by Giambattista Tiepolo stand out on the left wall of the stairs leading up to the Treasury . 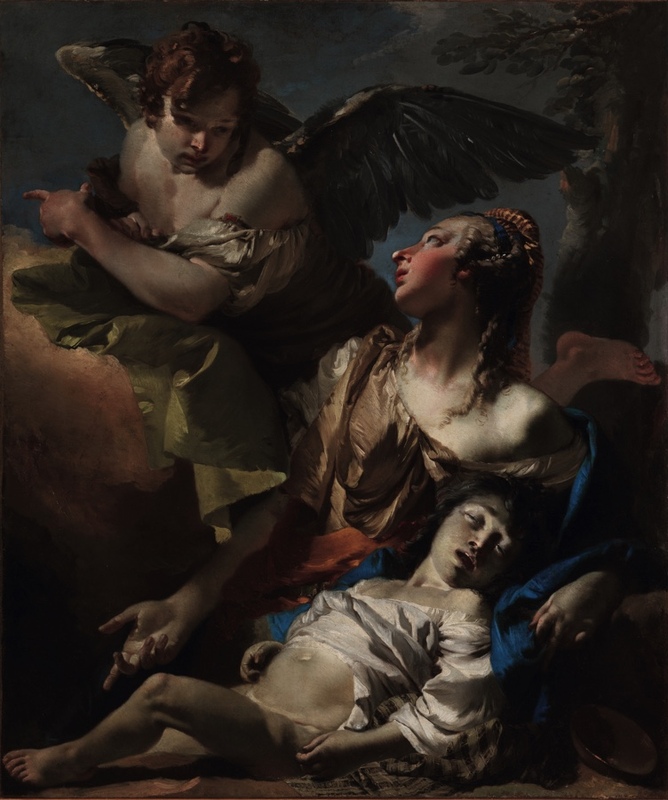 They come from this master’s extraordinarily creative period in the early 1730s, and show two episodes from the story of Abraham, as narrated in Genesis. 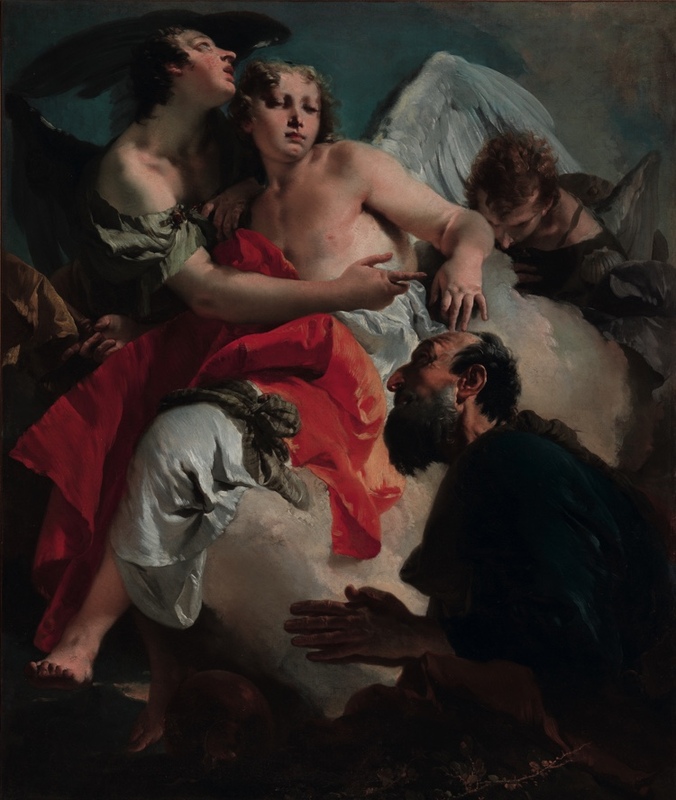 In the first, Abraham and the angels, some angels who have appeared to the old patriarch pretending to be travellers first accept his hospitality and then reveal their true nature, announcing that his wife Sara will soon give birth to their son, despite her advanced age. The second picture, Agar and Ishmael, shows the moment when the angel sent by God saves Ishmael, the son of Abraham and Agar, from certain death. In both paintings, the human protagonists are shown in the foreground, their eyes turned towards the splendid figures of the angels, who completely occupy the rest of the composition.